Second Stretch Goal reached - third one? Ta-Da!!! We reached the second stretch goal and Dr. M got her painting finished - and no, Doctor M. was not painting the Amorphophallus, she was painting the second Artist-in-Resident in action! 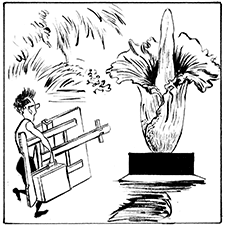 (cartoon by David Clarke). Thank you all for your support! We have 6 days and few hours left of this drive - tell your friends, it is time to pledge now while the numbered limited edition books are still available! - Can we get the third Artist-in-Resident position? 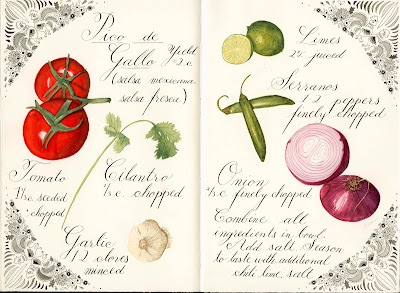 Pico de Gallo for the summer table, an excellent salsa recipe by Chef Eileen! 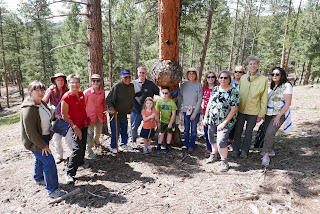 We will travel to Ute Indian Reservation in July and to Fox Run Park (El Paso County) in August. More information about these tours here. Can we reach the second stretch goal today and support for the second Artist-in-Resident position? For more information about our Kickstarter project, please click here. 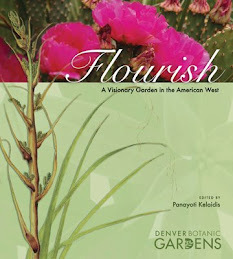 If you already supported, please tell your friends about this amazing publication. We are running towards our second stretch goal ! We are half way through to reach our second stretch goal - thank you for your support. Keep spreading the word and see what happens for Dr. M - we have 14 days left of this drive. If you are planning to get our second 'sketchbook' you need to hurry, the book will be selling out! Thanks to your generous support we have now unlocked the first 6-week Artist-in-Resident position! You might be our 2019 A-I-R! 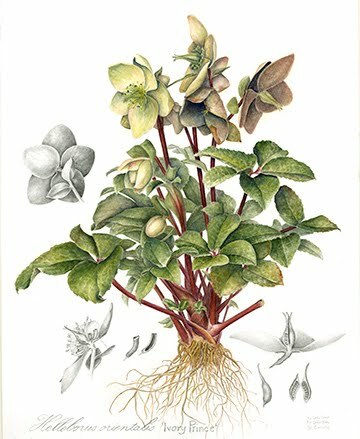 We have added a new incentive: High quality giclee print of Işık Güner's outstanding watercolor plate of Ratibida columnifera, a Rocky Mountain native. 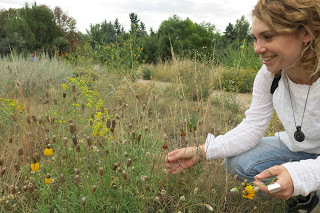 We reached our primary goal with our Kickstarter Campaign and are now ready to go for the first stretch goal and the first 6-week Artist/Illustrator-in-Residency position at Denver Botanic Gardens. John was our 2016 Artist-in-Resident and during his stay completed this watercolor piece as a part of the "Nubile Perfection" collection. 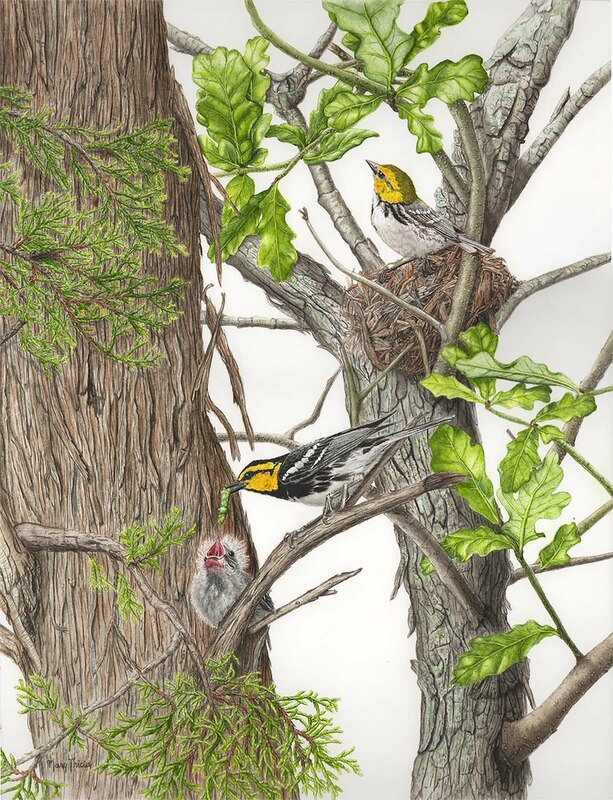 If you increase your pledge by $75 by June 22, 2018 you'll get the high quality giclee print of this work of perfection! Our current Kickstarter Campaign had a successful start and at the moment we are at 89% of our goal ($16K) to get the sketchbook published. Thank you all for spreading the word and thank you for supporting our project. 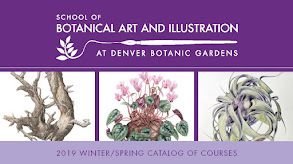 Beyond that we hope to achieve our stretch goal to support the annual paid Artist/Illustrator in Residency Program and the possibility to host the illustrator internships next summer here at Denver Botanic Gardens. 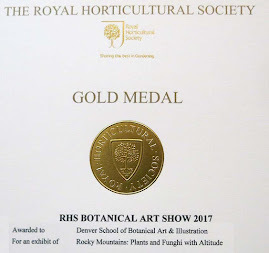 Our Botanic Gardens’ community of researchers, horticulturists, teachers and students is known for sharing all of their knowledge and experience with each other, making this a great place to immerse in art and science. Polyester drafting films, like Mylar and Dura-Lar (both by Grafix), are not typically coated to accept water-based mediums. The .004” wet media Dura-Lar film is specifically coated on both sides to accept water media. 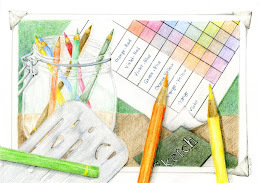 We recently tested this in the classroom and successfully completed a workshop with watercolor pencils on Dura-Lar. 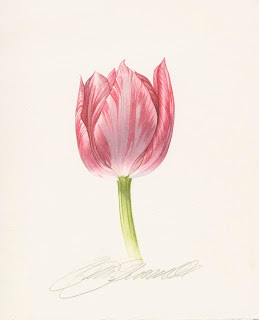 Caran d'Ache revolutionized the pencil market in 1931 by introducing the first ever water-soluble pencil (Prismalo),also known as watercolor pencils. 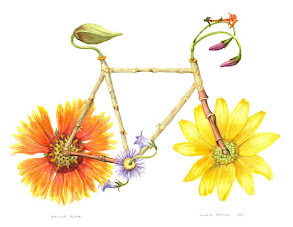 The watercolor pencils are one of the youngest art mediums used today. 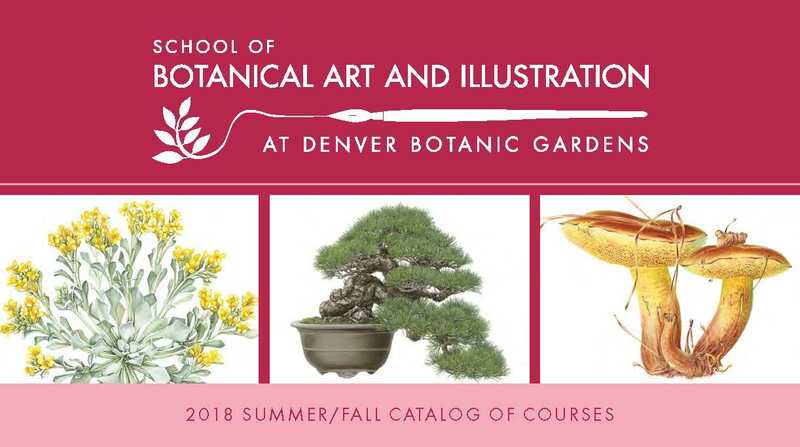 Denver Botanic Gardens’ School of Botanical Art and Illustration offers a comprehensive series of classes and workshops in the well-established tradition of portraying plants for aesthetic appreciation, scientific purposes, and historical documentation. 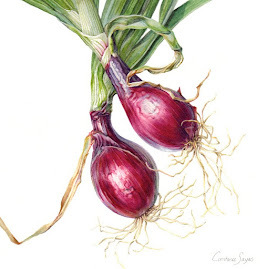 Practice Makes Perfect II: Botanical Illustration Sketchbook from Denver Botanic Gardens’ School of Botanical Art and Illustration is a collaborative project that showcases the skills and unique perspectives of 76 botanical illustrators. Assembled page by page as the sketchbook traveled from one artist to the next, this collection represents friendship, shared ideas and community, along with impressive artistic ability. 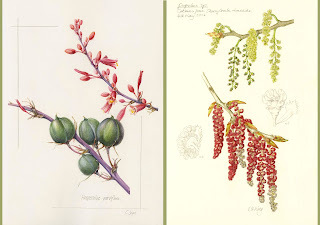 Botanical illustration is based on scientific study, but it is also a highly creative form of expression that can be executed in many different media. 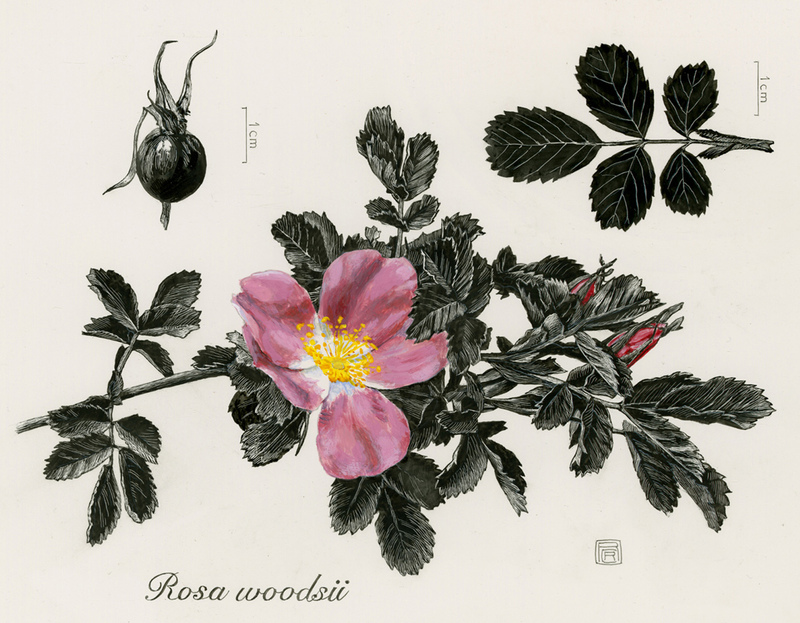 This book reveals that combination of technical accuracy and aesthetic freedom, as each botanical image jumps off the page in all its detailed glory. 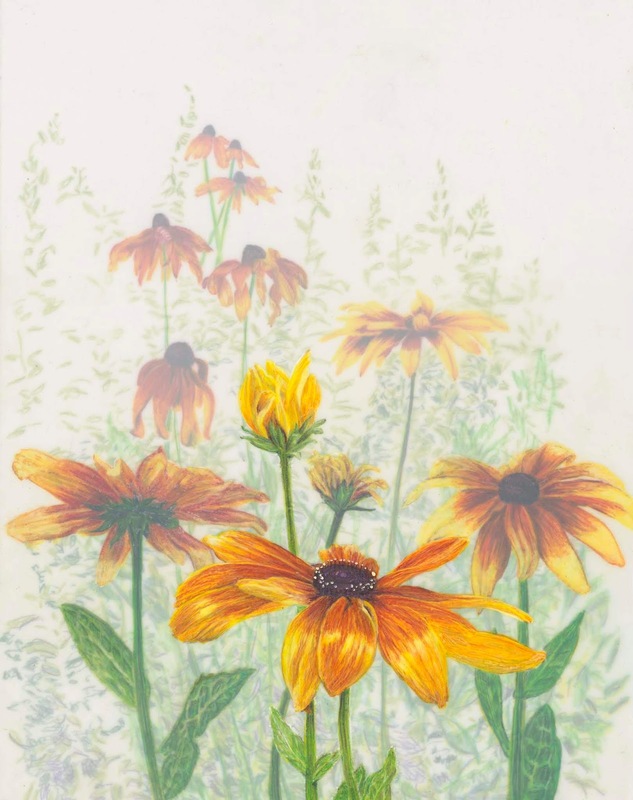 Our primary goal is to raise funds to publish the limited edition of 300 copies of Practice Makes Perfect II: A Botanical Illustration Sketchbook. 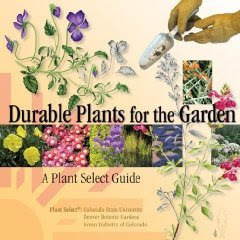 This is an art book containing 76 illustrations made by artists from the School of Botanical Art and Illustration at Denver Botanic Gardens (hardbound, 7.5”x 11”, with dust jacket, sewn with reinforced end sheets and headbands, foil-stamped spine). 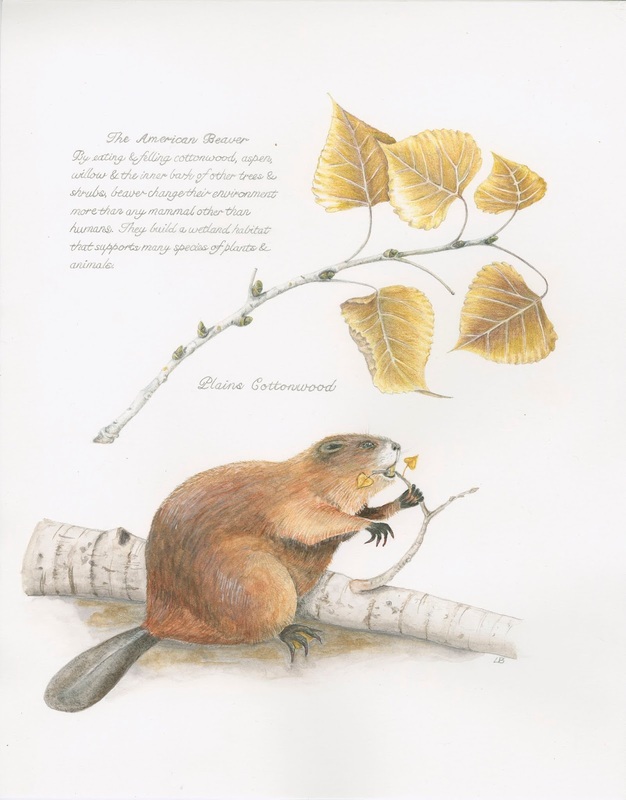 It includes an interpretative overview of each of the illustrated subjects. 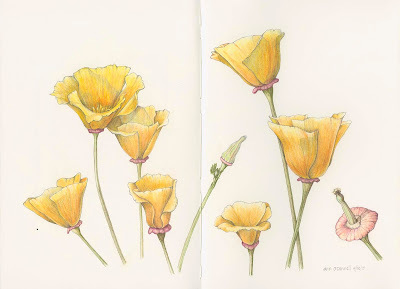 An original, handmade 160-page springback-bound sketchbook with 90 lb. 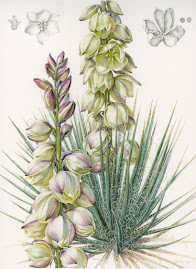 Fabriano Artistico HP watercolor paper was used for this purpose. Each of the artists was given an 11”x 15” spread and up to one week to complete his or her work. 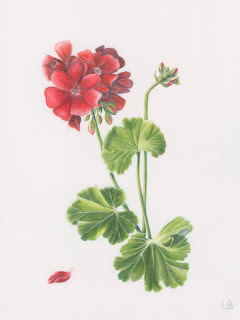 Practice Makes Perfect II: A Botanical Illustration Sketchbook with a foreword by artist Billy Showell showcases a unique collection of talent and expertise ranging from natural science illustrations and artistic explorations to calligraphy with a personal touch. 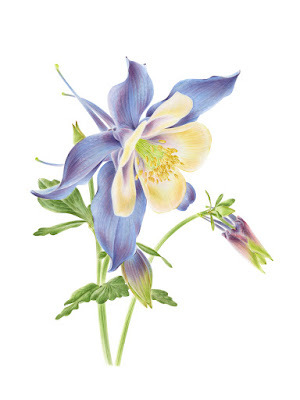 The book also celebrates the forthcoming Freyer-Newman Center for Science, Art and Education and the 38th anniversary of the botanical illustration program at Denver Botanic Gardens. 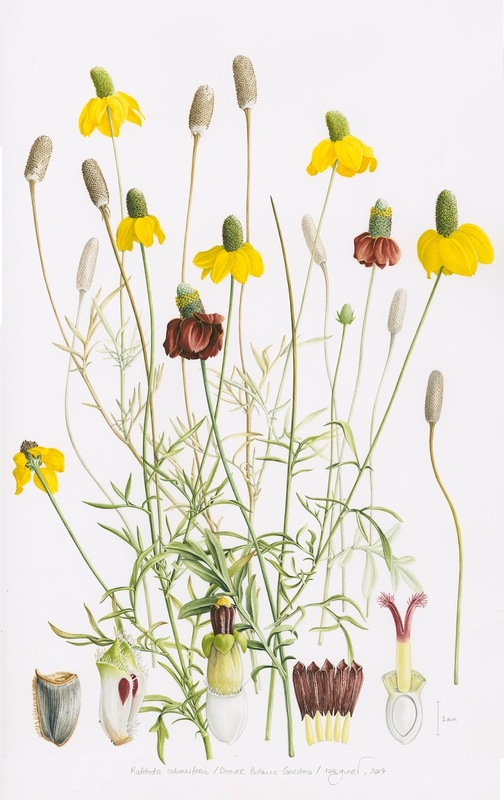 Our sketchbook project was completed in 76 weeks with participants from the Gardens’ botanical illustration community in 2016, including numerous renowned international artists. Part of the illustrations are in color and part meticulously executed in ink or graphite; each illustration offers insight into the individual artist’s way of working. 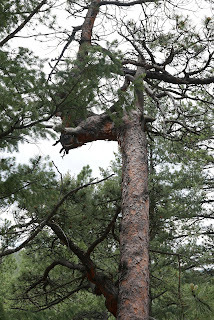 For more information or to watch a project video, please click here. Reminder: Registration for Summer/Fall courses opens tomorrow, June 5th 9 a.m.! The registration for the 2018 Summer/Fall botanical illustration courses opens tomorrow, June 5th 9 a.m. The call for entries for our annual botanical illustration exhibit Invisible Links will be closing in about 15 hours (11:59 p.m. Mountain Daylight Time). 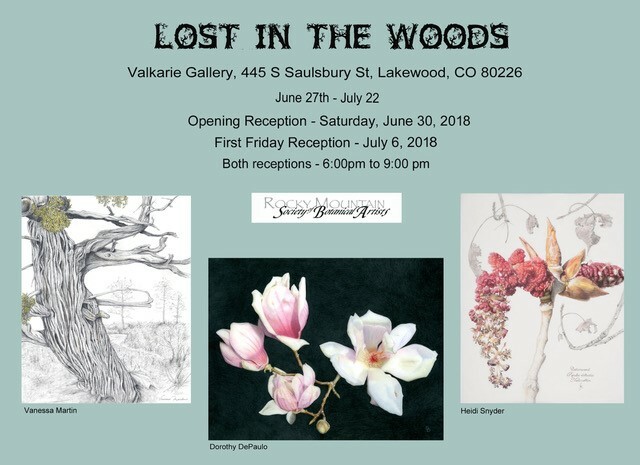 To submit your piece, please click here.